For over 40 years, Dan Press has provided legal and Washington representation assistance to Indian tribes, Indian organizations, and companies doing business with tribes. Dan assists tribes with strengthening their tribal governments by helping them develop and implement ordinances that exercise the tribe’s sovereign authority in such areas as employment rights and labor relations. He has helped to establish a range of entities designed to promote economic development in Indian country, including creative use of the special 8(a) rights Congress has provided to tribes and the first multi-tribally owned financial institution. He has also counseled tribes to obtain legislation awarding them hundreds of millions of dollars in land claims settlements, new health facilities, and new authority to promote employment on their reservations. He has special knowledge of Indian land issues, including rights of ways and leases on Indian land and the unique legal issues that arise when doing business on reservations and assisted companies to negotiate various agreements with tribes regarding land use. Dan has used his years of experience working with tribes and private sector companies to assist his clients to develop productive business partnerships with tribes so that their projects can move forward quickly and cooperatively. He has also assisted his clients with advocating before Congress for funds or new programs to help them strengthen their governments and their economic enterprises. 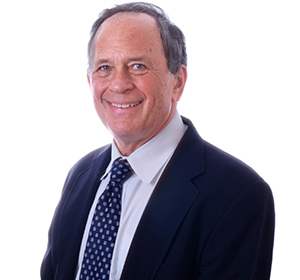 Dan has litigated in tribal and Federal courts on behalf of tribes and Indian business. Through his extensive knowledge of federal procurement law, he has advised tribes and businesses on contract issues and represented them on such issues in the Court of Federal Claims. Dan serves as pro bono general counsel for two national organizations that assist communities to apply the science on the causes and effects of historical and childhood trauma to address social and health problems in their communities. The Roundtable on Native American Trauma-Informed Initiatives works to assist Native communities implement comprehensive trauma-informed initiatives while the Campaign for Trauma-Informed Policy and Practice works at the Federal, state and community levels to encourage elected and agency officials to adopt policies that apply the science on trauma to the programs that address the effects of trauma, such as suicide, substance abuse, and domestic violence. It also educates local communities about the benefits of implementing comprehensive trauma-informed initiatives. For six years until retiring in 2017, Dan was an adjunct professor at Columbia University where he taught undergraduate courses on current issues facing Indian tribes to include Issues in Tribal Government and Native American Economic Development. He also co-taught an original course called The Holocaust and Genocide in America in which the students examined these two genocidal events and the way the United States government and the public have treated each in recent years. In November 2018, Dan received the Public Advocacy award from the International Society for Traumatic Stress Studies for "Outstanding and Fundamental Contributions to Advancing the Social Understanding of Trauma." Helped to found the Tribal Employment Rights (TERO) program in 1977 and has served as general counsel to the Counsel for Tribal Employment Rights, the national TERO organization, since its founding in 1983. Organized and obtained certification for the first multi-tribal 8(a) company which was owned by 12 tribes and assisted that company obtain over $90 million in contracts. Helped to start the Native American Bank, the first intertribally owned financial institution. Assisted one tribe obtain legislation awarding it $450 million to resolve the Tribe’s claim for inadequate payment when tribal land was taken for a Federal dam and assisted another obtain funding for a new health care facility to replace the one a Federal dam had destroyed 50 years earlier. Assisted a tribe negotiate legislation awarding it over 9000 acres of land at a former military base near its reservation. Assisted a large gas pipeline company negotiate a 200 mile right-of-way across tribal land. Assisted a number of tribal and private companies explore the opportunities for wind and solar energy development on Indian reservations. Drafted a model comprehensive tribal workforce protection ordinance encompassing the range of laws designed to protect workers and assisted tribes tailor, adopt, and implement the ordinance. Represents a large city in its negotiations with a tribe regarding city rights-of-ways across tribal lands within the boundaries of the city. Panel Moderator, "Action Planning for the Future"